I am the one you have been waiting for. Look no further, because you have found your dream home! My owners put a lot into me to get me ready. They installed beautiful new flooring, resurfaced my pool, the pool deck, and installed a new roof. And that's just the start of what makes me amazing. 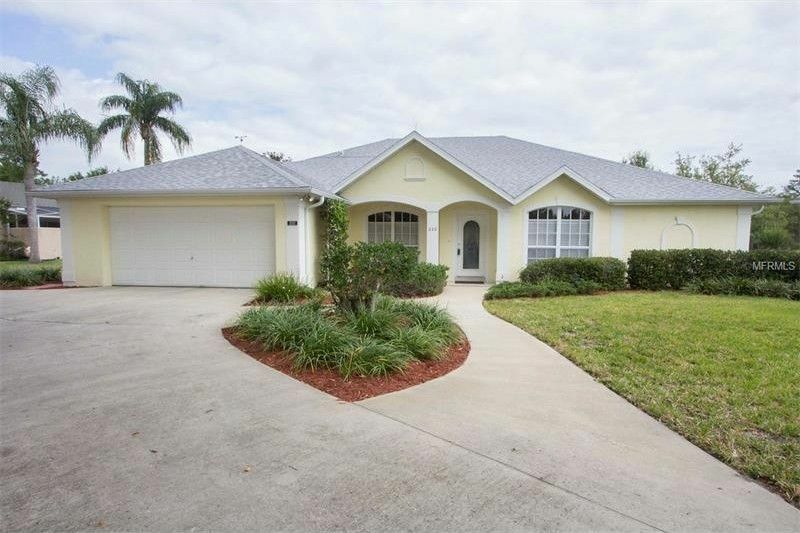 Set directly on the 9th tee, walk out your back door, tee up, and head in to the club house of the well renowned DeBary Golf and Country Club. Sit on your newly screened lanai and enjoy the Florida lifestyle by the pool. Watch time go by as the birds sing and you enjoy your favorite beverage or meal from my almost new appliances. Did I mention my owners bought me a transferable termite bond to protect me? New SOD is coming this week and I was freshly painted too. All this and we haven't even talked about my open floor plan, vaulted ceilings, and split bedroom plan. From the second you walk through the door you are met with the open feeling of my layout which leads directly to the triple sliding glass doors out onto the lanai. Bright and airy is an understatement. Left into my master bedroom or right to the other two bedrooms. Every one of my rooms has oversized closets that you can't believe until you see them and of course I have dual sinks and a large garden tub. And as if that isn't enough, I have a full lightning protection system installed! I could go on forever, but really, you need to get over here and check me out, but I must warn you, you are certain to fall in love! Come see me today! I won't last long. Driving Directions: North to left on DeBary Plantation Blvd. Left on Beacon Club Dr. right on Breezewood. Right on Bunker Ct.